Don't be ashamed of trying, every journey has to start somewhere! The newest and most innovative indoor studio cycling facility in Bristol! 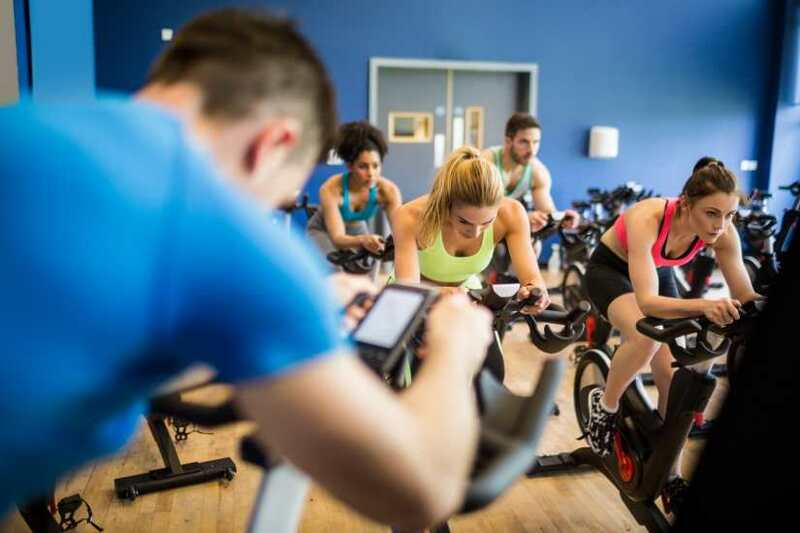 Located on the corner of Guthrie Road & College Road, next to the Clifton College music department, we offer state-of-the-art bikes, unique MyZone heart rate tracking technology, along with expert friendly instructors that will keep you motivated from your first session and beyond! Join us for an enjoyable ride – suitable for all abilities and confidence levels. Enjoy the game-changing experience of MyZone heart rate tracking for a safer, and more enjoyable ride; and enjoy the specially tailored sessions that will help you to get the results you want – faster. Your first session is FREE, use the code ‘freetaster’ when booking on our website. I was looking for something to cross train with running and weight training. I tried Clifton Revolution and enjoyed it straight away. Great facilities, excellent instructors and the My Zone system really pushes you out if your comfort zone. I would really recommend you give it a go. Lots of flexible dates and times for classes throughout the week! 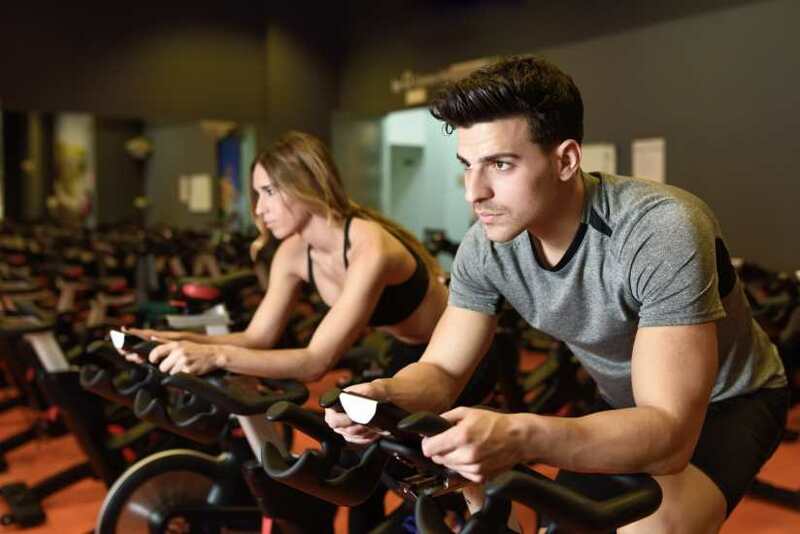 Having never really considered doing an indoor cycling class before, I was pretty skeptical how good it would be and what i would get out of it. I found out that I loved it! All the instructors are great, they each have their own individual classes with their own personal stamp on. The venue is really great too, easy to find with a great atmosphere, with the excellent facilities of the main Sports Centre nearby. I’m new to Clifton Revolution and I absolutely love it! The class instructors are all friendly and informative, and i love that they all have their own class workouts. Each different workout i have done pushes me enough, without me feeling overwhelmed and ill afterwards, and with just the right amount of variety. I absolutely love it and recommend to all my friends! BOOK YOUR INDOOR CYCLING CLASS NOW! Want to ride for less? Of course you do! Now you can revolutionise your fitness, get better results and save money at the same time! You can purchase a single ride, or a bundle for those enthusiasts who want to ride regularly! We are certain that once you’ve ridden with us once, you’ll want to join us for more! Clifton Revolution helps you stay on track with your fitness with the aid of MyZone heart rate tracking technology. 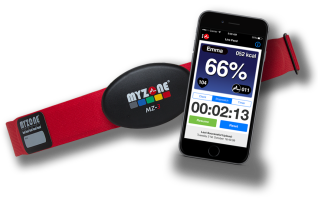 As well as providing super-engaging and effective sessions, using a MyZone heart strap turns every activity into exercise, whether it’s walking the dog, running, gardening, or even cleaning windows! Coming along to your first Clifton Revolution session could not be easier! Simply visit our booking portal, register as a new rider, and book your first session using the promo code ‘freetaster’! After your first session (we know you’ll love it) you can purchase single rides or bundles for those cycling enthusiasts!